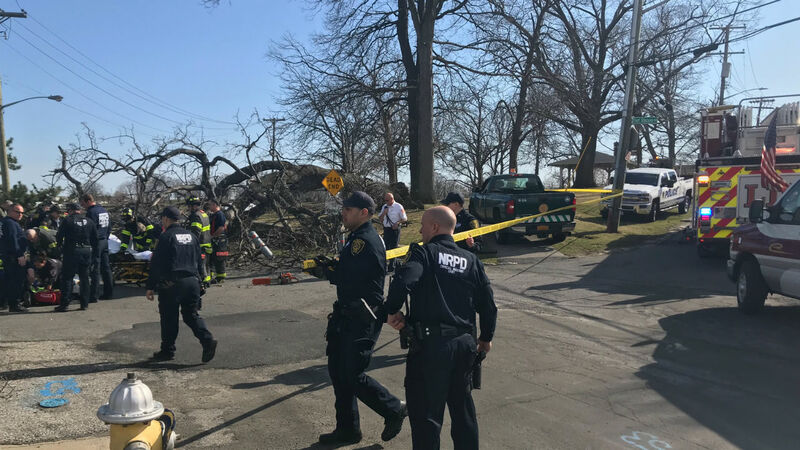 NEW ROCHELLE, New York (WABC) -- At least two Parks and Rec employees were injured by a falling tree during routine clean-up on Thursday afternoon. Officials with Con Ed say the tree fell on a secondary wire in Neptune Park just around 4 p.m.
One employee suffered a shoulder injury and the other suffered a head injury. Both were taken by ambulance to a nearby hospital. Con Ed officials said the tree was being removed while crews made necessary repairs. There were no reported outages following the incident.